- 925 sterling silver with cubic zirconia charms necklace. - 18 carat gold filled on 925 sterling silver with cubic zirconia charms necklace. 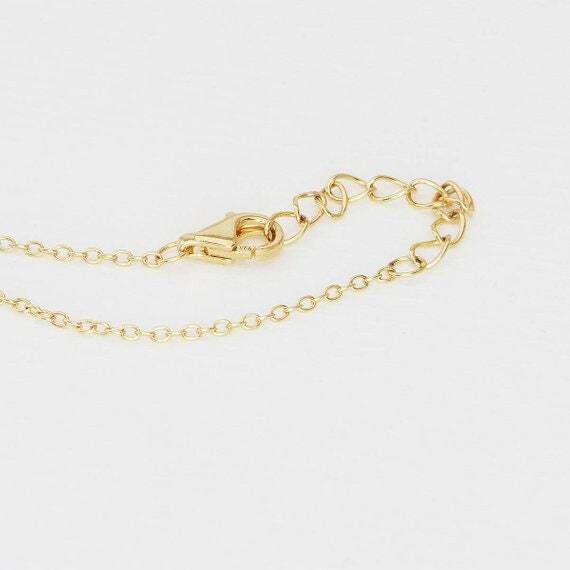 - Chain Length 38cm + 3.5cm adjustable. - Charm Measurement: between 2mm and 5mm (depending on the charm). 1 year guarantee on proper use. - This choker is designed by 3 tiny different charms around the chain. 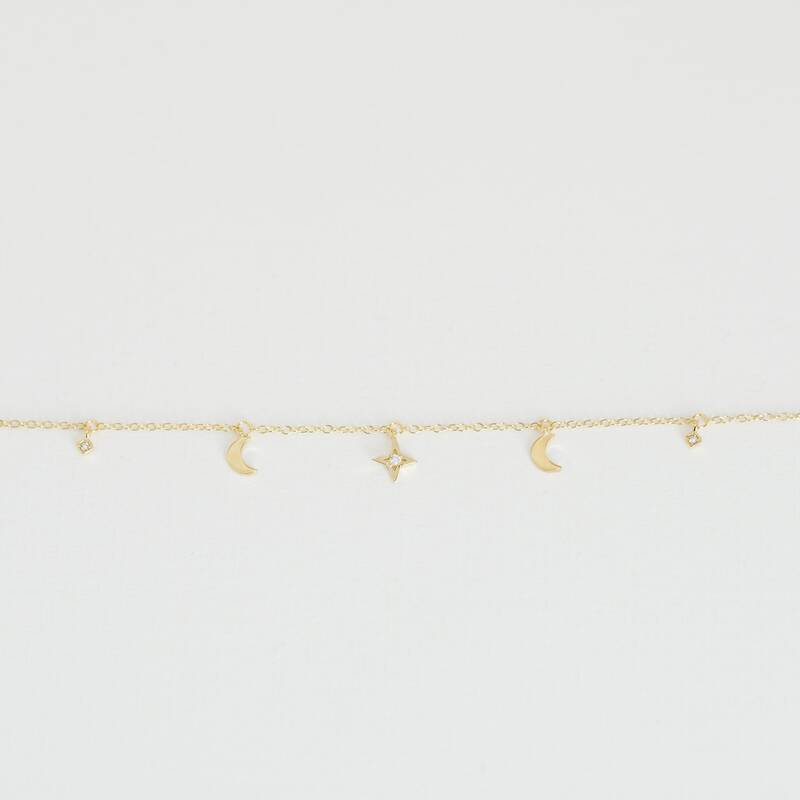 - 4 moons charm necklace. ( 5mm x3mm). - 3 Starbursts with cubic zirconia charms. (5mmx5mm). 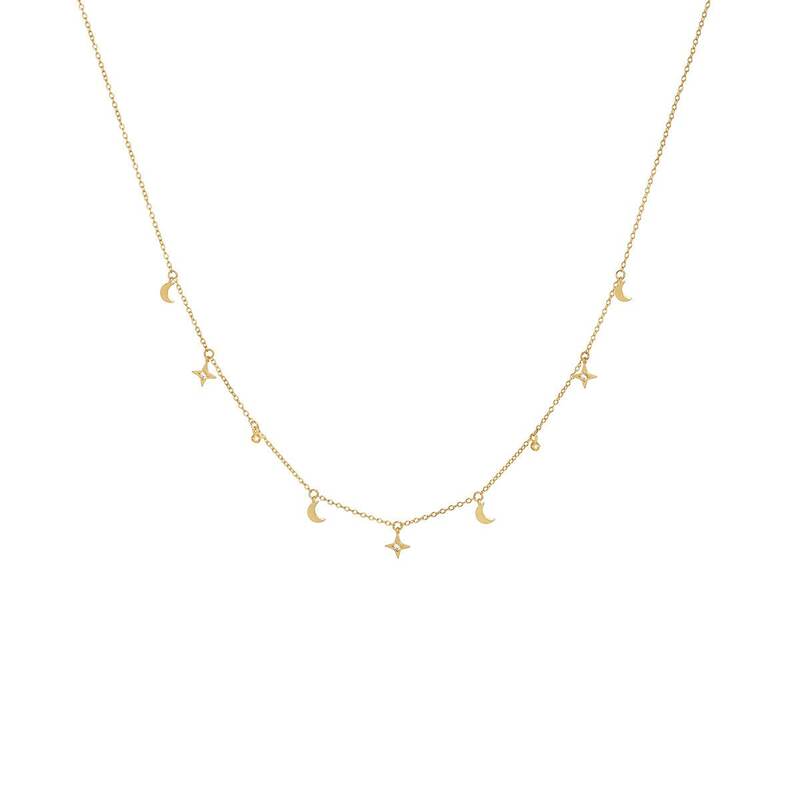 - Combine this choker inspired by the galaxy with other dainty necklaces in order to create the lariat necklace effect. - Each item is carefully packaged in a beautiful and resistant jewelry box with the MON ROMA logo. Really delicate necklace. Very dainty and well made! It looks like an expensive necklace. Seller was very very patient and kind with my questions. Once I paid, the item was shipped out the next day. Took 14 business days to get to Canada. Well worth the wait! Beautiful delicate necklace and really pretty, I love it!